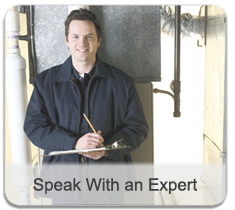 Pest issues are not always visible to the home or business owner. Often the only evidence to a pest issue are damaged building material or a vacant spider web. Clean-Air Environmental Services can provide a thorough inspection of any area of your property or landscape to assess a visible or suspected pest problem. There are a variety of solutions to eliminate pests that pose a problem to your property interior or exterior. Treatments are customized for each client's situation and performed only by licensed service technicians. There are many serious health hazards involving the exposure to rodent feces/urine. Rodent urine contains allergens that may be irritating to those with allergies or asthma that are exposed on a regular basis. In addition, rodent urine can stain surfaces which can make their presence in your home surely known. Structural damage to your home is another concern of rodent infestation. Rodents will eat food and chew on property if they find their way into a home. Severe rodent infestations can result into costly structural damage and abatement to remove the contamination and damage. Mice and rats have also been known to chew through electrical wires which can be extremely dangerous and can cause electrical fires. Copyright © 2011 Clean-Air Environmental Services. All rights reserved.